The ColorKitchen Easter Egg Coloring Kit. Easter is Sunday, and kids and parents are thinking about dying eggs. 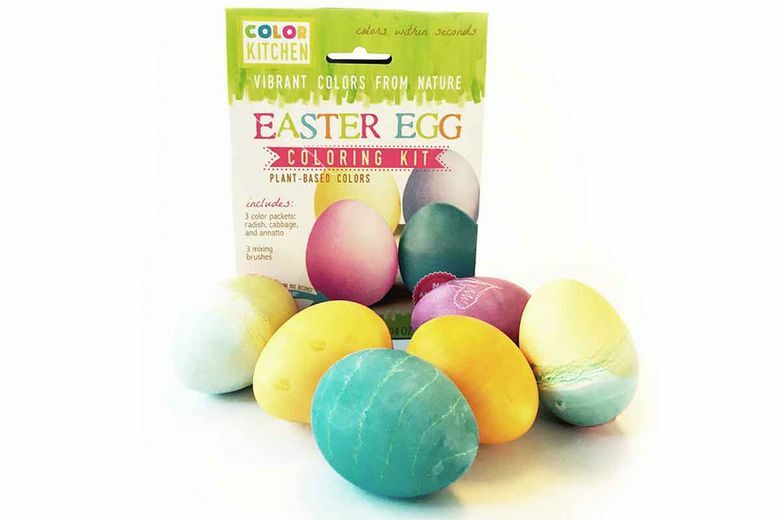 If you have allergies or an aversion to food dyes or to just want to dye your Easter eggs in a natural way, check out the plant-based Easter Egg Coloring Kit with Colors from Nature. It’s from ColorKitchen and is now available at Sur La Table stores. The kit features colors sourced from herbs and plants such as cabbage, radish and annatto. The colors are vegan, gluten-free, non-GMO and free of synthetic dyes. ColorKitchen was founded by Ashley Phelps, who also offers dye-free baking decorations and gluten-free cake mixes. The Easter egg kit is $8.95 at Sur La Table stores and online at surlatable.com. Be sure to check with stores ahead of time; some stock only a limited quantity.